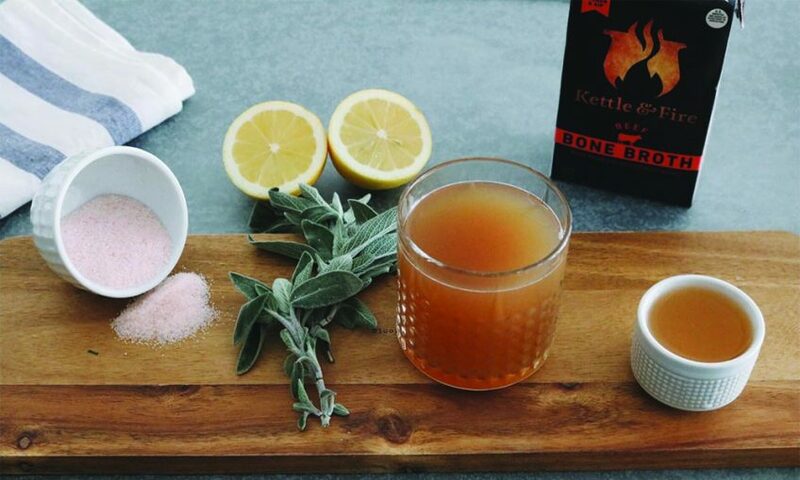 Sipping on a warm cuppa bone broth is coming back in style and with good reason! Wondering why? Here is THE ULTIMATE guide for all-you-need-to-know bone broth information, history, recipes, questions and online resources. Broth, stock, and bone broth… is there a difference, which on is best? All use some combination of water, meat and/or bones, and usually a combination of veggies and seasonings. A pot full of these ingredients simmers for a number of hours and then is finally cooled and strained out through a fine mesh sieve. Broth is made with meat and can contain a small amount of bones simmered for a short period of time – 45 minutes to 2 hours. It is high in protein and results in a watery consistency and mellow flavor. Stock is made with bones and can contain a small amount of meat simmered for a moderate time – 3 to 4 hours. Stock is rich in minerals and gelatin. Bone Broth is made with bones and can contain a small amount of meat simmered for a very long period of time – usually 24 minimum. It often results in a jello-like consistency, rich in amino acids, gelatin, and collagen. Bone broths make us feel good, they help boost our immune systems, nourish our gut and warm us from the inside out. Broth is a nutrient dense, whole food source of bioavailable vitamins and minerals. Broths contain calcium, magnesium, phosphorous as well as sulfur, potassium, and sodium in trace amounts. Daily cups of bone broth are especially good for pregnant and lactating women, children, and elderly folk. Broths help prevent you from catching colds (or at least heal from them fast). Anti-inflammatory properties inhibit the attraction of neutrophils and thereby mitigate symptomatic upper respiratory tract infections [1. http://www.ncbi.nlm.nih.gov/pubmed/11035691]. It is nice to see hard evidence but we do not really need science to tell us broths are good for the immune system. Broths have been grandma’s remedy in cultures across the globe for generations. In traditional food circles, broths are well known from anecdotal evidence to assist immune system in a speedy recovery from colds, flues, and other illnesses. Broths keep your bones and joints healthy. Collagen in broths is a powerful and effective treatment against bone and joint diseases[2. http://www.ncbi.nlm.nih.gov/pubmed/11071580]. Without any negative side effects, collagen is understood to help decrease the number of swollen and tender joints, in some studies patients had complete remission of their disease [3. http://www.ncbi.nlm.nih.gov/pubmed/8378772]. In addition to collagen, glucosamine and chondroitin are other bioavailable components to homemade bone broth. These are useful therapeutic agents to reduce inflammation and pain in our joints[4. http://www.ncbi.nlm.nih.gov/pubmed/17658908]. Instead of paying top dollar for these increasingly popular supplements, why not sip them up in a broth? Amino acids such as glycine, proline, and arginine all have potent anti-inflammatory effects. Arginine has actually been found to be beneficial as a treatment for the condition of sepsis (whole-body inflammation) [5. http://www.ncbi.nlm.nih.gov/m/pubmed/15709548/]. Glycine and proline are two important aminos, both with essential roles within the human body. According to a textbook on bone disorders, proline and glycine play starring roles in the collagenous fibers built from gigantic proteins containing some 1,000 amino acids each. Glycine contributes one-third of the total aminos [6. Resnick, Donald and Niwayama, Gen, Diagnoses of Bone and Joint Disorders (Philadelphia: WB Saunders, 1988), p. 758.]. Glycine also assists the digestive process by enhancing gastric acid secretion, facilitating the healing of soft tissues and wounds, and acting as a precursor for glutathione which is absolutely necessary for the liver in order to detoxify after chemical exposure. Proline is a structural component of collagen and therefore necessary for strengthening joints, bones, skin, connective tissue, tendons and cartilage. Proline has also been shown to improve memory [7. http://www.pubfacts.com/detail/17092975/The-nootropic-and-neuroprotective-proline-containing-dipeptide-noopept-restores-spatial-memory-and-i] and is fundamental for building plasma in the blood. A study indicates that plasma levels fall by 20 to 30 percent when individuals in normal health are put on proline-free diets [8. Jaksic, et al. Plasma proline kinetics and concentrations in young men in response to dietary proline deprivation,American Journal of Clinical Nutrition, 1990, 52, 307-312.]. It is possible that, in conjunction with Vitamin C, proline may promote skin and heart health. Proline is a recommended supplement for individuals seeking anti-aging benefits. Unfortunately no studies validate these claims (although none contradict), at the moment these claims appear anecdotal and the evidence has yet to be tested. Gelatin, full of amino acids, is another big star in any well made, thick and gelatinous bone broth. It has been scientifically studied since the 19th century and is appreciated by all systems through-out the body. Gelatin is a digestive aid, it normalizes hydrochloric acid in the stomach and “lines the mucous membrane of the intestinal tract and guards against further injurious action on the part of the ingesta” [9. Erich Cohn of the Medical Polyclinic of the University of Bonn, 1905 in Gotthoffer, NR, Gelatin in Nutrition and Medicine (Graylake IL, Grayslake Gelatin Company, 1945), pp. 62]. Gelatin assists in the digestion of nutrients and is soothing for those with uncomfortable symptoms of food sensitivity. Gelatin also strengthens bone health [10. Medline abstract of Koyama, et al. Ingestion of gelatin has differential effect on bone mineral density and bodyweight in protein undernutrition, Journal of Nutrition and Science of Vitaminology, 2000, 47, 1, 84-86] and reduce the pain of osteoarthritis [11. Moskowitz, W, Role of collagen hydrolysate in bone and joint disease, Seminars in Arthritis and Rheumatism, 2000, 30,2, 87-99.]. Gelatin has been used successfully to treat diabetes for over 100 years [12. A. Guerard, Ann Hygiene 36, 5, 1871; H. Brat, Deut. Med. Wochenschrift 28 (No. 2), 21, 1902]. Ray Peat, PhD, states “degenerative and inflammatory diseases can often be corrected by the use of gelatin-rich foods.” He goes on to discuss how the contents of gelatin promote wound healing and suppress tumor invasiveness. Bone marrow is an up and coming nutritional novelty. Filled with micronutrients, stem cells, amino acids, collagen and lipids (alkylglycerols). These contribute significantly to the immune system and overall health and vitality [13. http://www.sciencedaily.com/releases/2014/07/140703125216.htm]. You can also enjoy the benefits of bone marrow with this simple and delicious recipe. 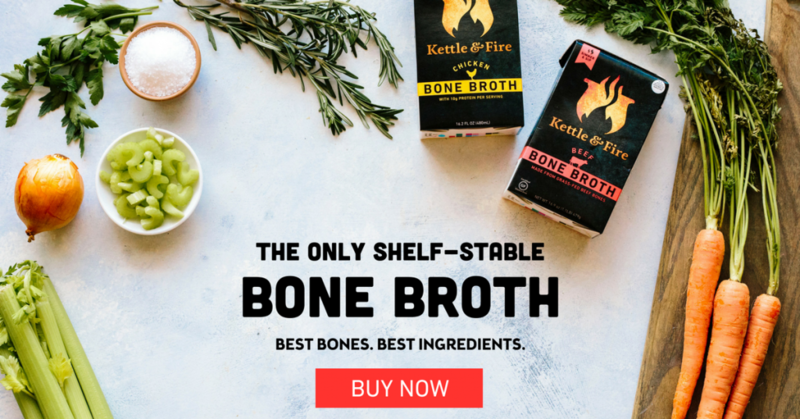 Bone broths are nothing new. The idea of using all parts of an animal is long established in cultural and culinary traditions. Waste not, want not – broths are an easy introduction to nose to tail eating. The cry that “America needs is more brothals” is rooted in the article that discusses broth’s historical significance, others that trace the evolution and devolution of it role. Broths are great anytime of the day, any season, anywhere. They add a savory, robust flavor to dishes. As long as the brothy flavor agrees with the desired taste profile of your recipe, you can use broth in replace of water! 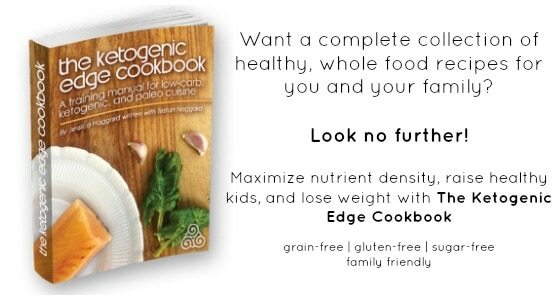 Try out the many bone broth based recipes from my cookbook, The Ketogenic Edge Cookbook. Alright! You are stoked on the benefits and now ready to make you own batch of broth, but where to begin? Here are our recipes and a few favorites from around the web. Enjoy cookin’! Quick, easy and DHA rich, Fish Head Stock might seem a bit daunting but it is surprisingly delicious. Turkey Broth Recipe made from a left over turkey carcass by The Nourishing Cook. This Duck Stock by The Healthy Home Economist looks absolutely delicious! Homemade Bullion by The Nourished Kitchen is great way to bring homemade broth traveling or to holiday get-togethers. FAQs and helpful tips to maximize the quality and longevity of bones and broth. 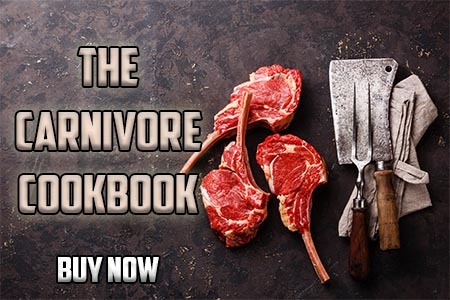 Want to buy bone broth instead? Let’s face it, sometimes buying is easier than making especially if you are new and a little daunted by the visceral aspect of bones. 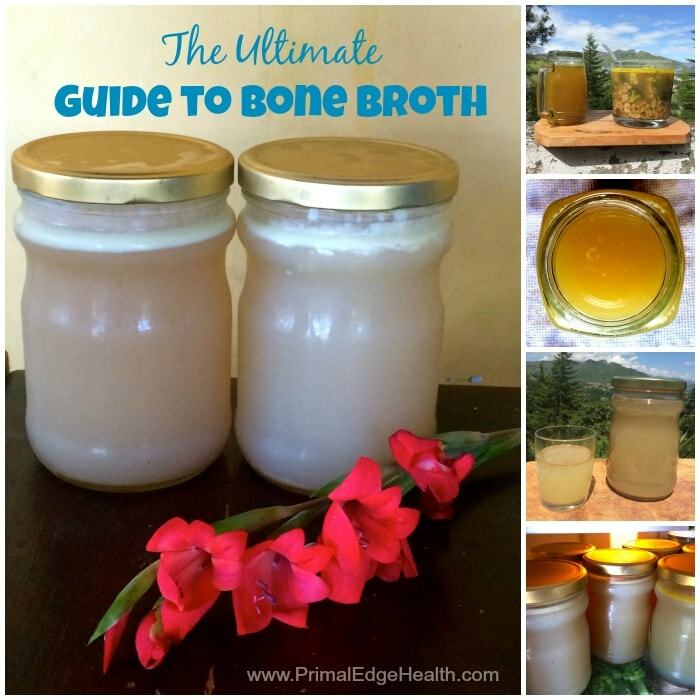 Entertaining and informative reads as well as all the kitchen supplies you need to make delicious, nutritious homemade bone broth. Now go enjoy a cup of broth and bring this POWERHOUSE of nutrition into your body! 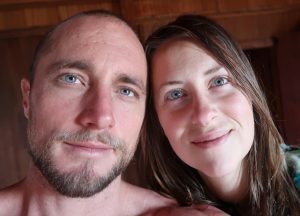 Follow Primal Edge Health’s board Nose-to-Tail on Pinterest. Really liked reading this information and links. It was helpful as now I know I was simmering at too high a temperature. Broth was good – but not much gelatin! I like meat and Greg doesn’t. I liked making bone broth but Greg couldn’t stand the smell of bones cooking to make the broth. 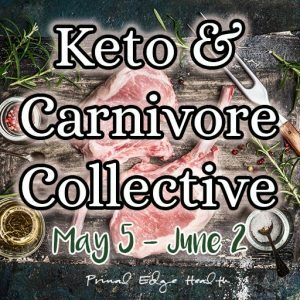 Do you sell bone broth? We are yin and yang that’s for sure. We are Married now for 47 years and direct opposites. Thanks so much for what you do, see you both in town.